About eight years ago a good friend (shout out to Hector) and I put together a mix as a promo for a store we had established back in Orlando, Florida. Rather than handing out flyers, we felt it was more effective to make some mixes and add a commercial at the beginning and the end. I had an idea for a project to be called the Rice & Beans Sound System that I wanted to develop and we decided it would be a good idea to release the mix under that name and with that spirit. The mix was a mainly salsa tracks from the golden era. Another friend of ours, DJ Rod-One approached me about doing a night and calling it Rice & Beans Sounds Live! The night kicked off what would be a seven year run under that name and some good memories. 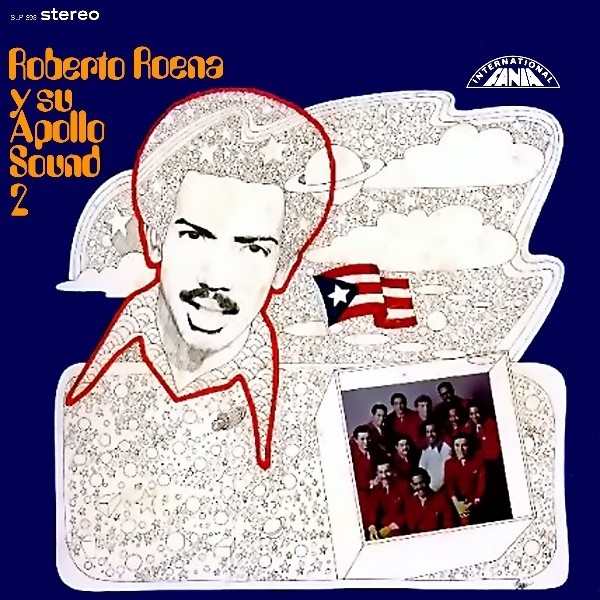 One of the tracks on one of the original mixes was “Te Lo Voy a Jurar” by Roberto Roena y Su Apollo Sound’s from the album “II”. It is a straight up salsa burner! I had that mix on repeat, and no matter how loud I had it, whenever this track came on, the volume got raised even more. The album to me is a masterpiece though not because of one track, but rather because it exemplifies the mastery of rhythms that the Latin musicians of this era demonstrated. Where Roena and his Apollo Sound delivered pure salsa on “Te Lo Voy a Jurar” they also gave you straight funk on “Shades of Time”. The trumpets on which sound very similar to the ones which would appear years later on “Que Se Sepa”. To me, though, the sheer brilliance of Roena appears on “Puerto Rican Blues”. The track is a journey lead by the pianist and accompanied by the rest of the band providing an ill jazz background. Stupid good! I woke up from a nightmare the other night in which I heard that the track had been re-released as cumbia-thon-gothhouse-dub edit. I was soaked in tears and sweat. …I made that last part up, but you get my point. Born in Santurce, Puerto Rico and now residing in New York City, Christian Mártir likens himself to a renaissance man. Over the last 7 years, as founder of the Rice & Beans Sound System, he has played and spread his love for Latin and Afro-Caribbean rhythms and culture.